For many people when they’re angry they want to hit something, hopefully not another person! 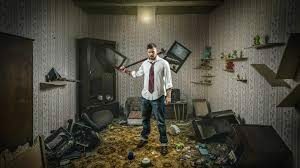 Apparently smashing things up can be good for us and that has lead to the introduction of Rage Rooms which are popular around the world and now one has opened in Melbourne. Psychologist Dr Marny Lishman spoke to Kayley Harris about the benefits of venting anger.